At the last week of October, something beautiful happened. I had pizza. Not any pizza, it was the TOP SECRET ONE. From you might ask?! 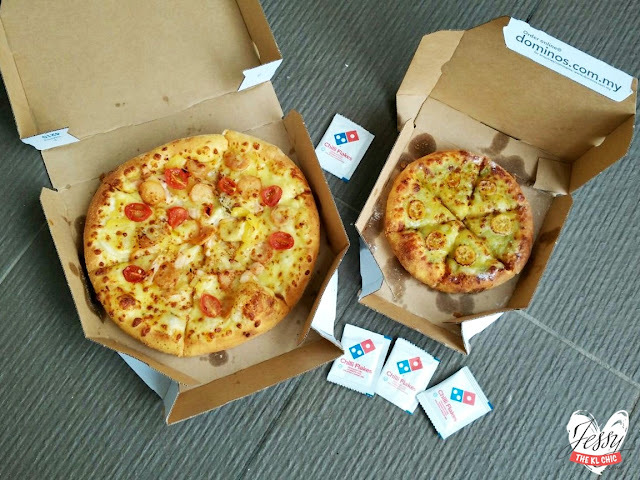 It none other than Domino's Top Secret Pizza, continue reading to find out the actual name of the pizza. haha. Had it with my family and within a minute, it was gone! My family don't give any chance when it comes to good food, we have that first come first serve policy. So if there is good food and I actually share it with you, means you're special. So, are you curious to what the name of my DTOPSECRET pizza is? It was none other than Chicken Confidential. It actually has 3 different types of chicken (chicken potpurri, roasted chicken and shredded chicken) along with the Top Secret sauce on the pizza plus cherry tomatoes, pineapple and CHEESE! Talk about yummms. This pizza was launched on the 1st of November 2015, thus I'm super lucky to have been one of the few first people to get a taste of it. If you notice my instagram posting, I've been hastagging #DTopSecret a lot and did you notice? Domino's even had a 50% discount code promo in October to hype up the crowd for the unveiling of this pizza. 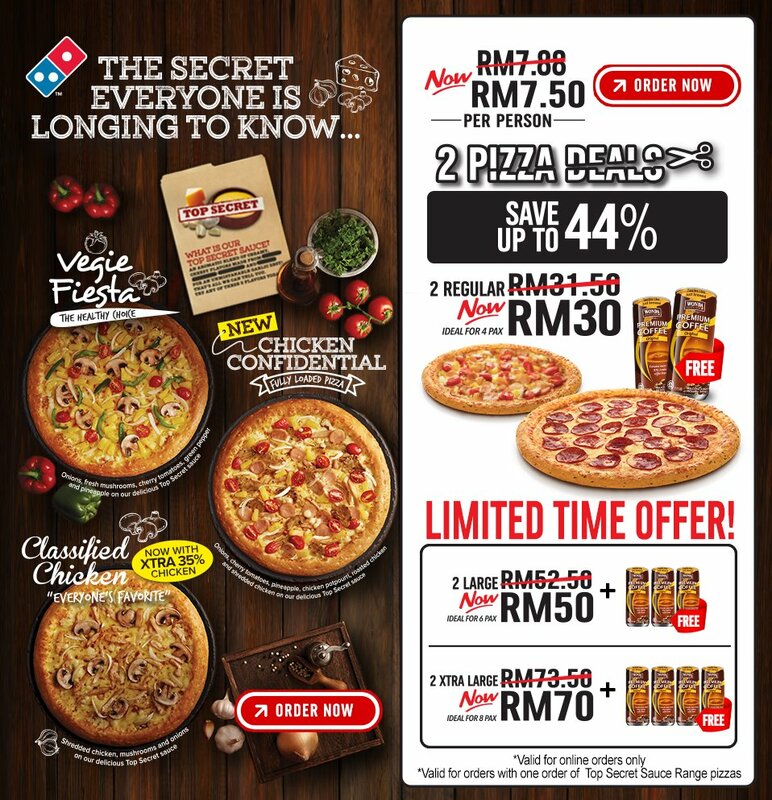 NOW DOMINO'S is having a promo for 2 pizza combo deal. Head over to their website for more information and order one today (fyi you can TRACK DOWN your pizza with online purchase). So for the launch of #DTopSecret Pizza, I did a mini giveaway on my instagram for private movie screening of Spectre James Bond. Sorry if you missed it. Should read my captions carefully next time. hehe. I was felling a little mysterious since it's James Bond and all, so I decided to dressed all black for the event. Got Clarissa to be my plus one of the night. You know what? Before the movie started, we were all served with pizza and guess which pizza, none other than the Chicken Confidential. Felt so badass having outside food inside the cinema as we all know it's usually banned. But since it's a DominosxSpectre event, there wasn't anyone who can stop us. At the end of the movie screening, Domino's even had a best dress contest during the event and these two lucky winners got a chance to win a YEAR SUPPLY OF PIZZA. Lucky right? Shall make sure, I get invited to their pizza party. Anyone craving for pizza now?